The hip allows the leg to move up and down and left to right. This happens because of a ball and socket joint surrounded by resilient muscles and ligaments. The upper portion of the leg is the femur. It is the biggest bone in the human body. The ball like end of the femur is the femoral head. The ball fits into the pelvic bone which forms the hip joint. The hip bone consists on the illium, ischium and the pubis. Two hips bones form together which consists of the pelvis. The pelvis supports the weight and allows movement of the lower body.The acetabulum is the cup-shaped cavity at the base of the hipbone that holds the femoral head. The soft tissue extending out from the socket is the acetabular labrum. The femoral head ligament connects the femoral head to the acetabulum. The femoral ligaments consist of three very stong ligaments that attach the femur to the pelvis. The ligaments help support the hip joint. 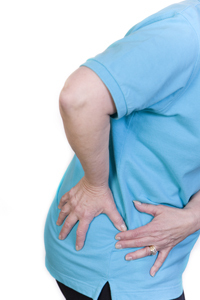 Misleading Symptoms: Is it hip pain or back pain? Some symptoms that may seem like a hip problem may actually be a more severe back problem. Be sure to check out all persisting hip pain with a specialist. A tingling or numb sensation in the hip or upper thighs may actually be a symptom of spine damage. When pain does not lessen when lying down or sitting in a way that relieves pressure, then the problem my be rooted in the back, not the hip. This type of pain should be treated immediately. To see how specialized a doctor is in hip, call the office and ask what percentage of the patients are seen in hip. Ideally you want a specialist where 80 percent of his practice is just hip patients. Fellowship training is another indicator of a doctor's skill. Fellowship training is the highest level of training available for a doctor in any given subspecialty of medicine. For instance, a doctor finishes medical school, then goes on to do an internship and a residency. A fellowship is an optional, additional level of training that takes his or her expertise one step higher. Fellowship training exposes the doctor to the most complex medical cases and advanced treatments for medicine in their specialty area. To find out how qualified your physician is, you may contact the Texas Board of Medical Examiners. 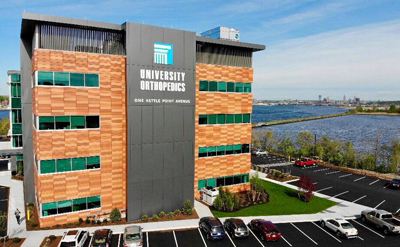 This will offer credentials on any type of physician - not just orthopaedic surgeons. When a patient visits a hip specialist to help diagnose a hip problem, there are three parts to the examination; the medical history, the physical examination, and diagnostic imaging. During the medical history, the hip surgeon will try to find out if you have developed your problem through heredity, through lifestyle habits or through a sudden sports injury. This will give the physician the best idea of how to find out exactly what is wrong, and then suggest proper treatment of the injury. You should indicate to your doctor if you have been using steroids since they can cause joint inflammation. Lyme Disease from the deer tick and rheumatoid arthritis can also trigger joint inflammation, for instance. Following the medical history, your doctor will give a physical examination to hear or feel what is wrong. This portion of the exam is somewhat like a carpenter trying to find out why a hinge on a door is squeaking or is not properly aligned by opening and closing the door a few times to listen to what is going on. This will show the doctor which tests he or she should perform to find out the cause of your pain. Next, the physician may have an MRI or x-ray image taken of your hip. An X-ray often times does not provide the clarity needed to see precisely what is wrong. In these instances, an MRI or CT-Scan is used. X-rays, for example, only show bones. MRI and CT-Scans show soft tissues.